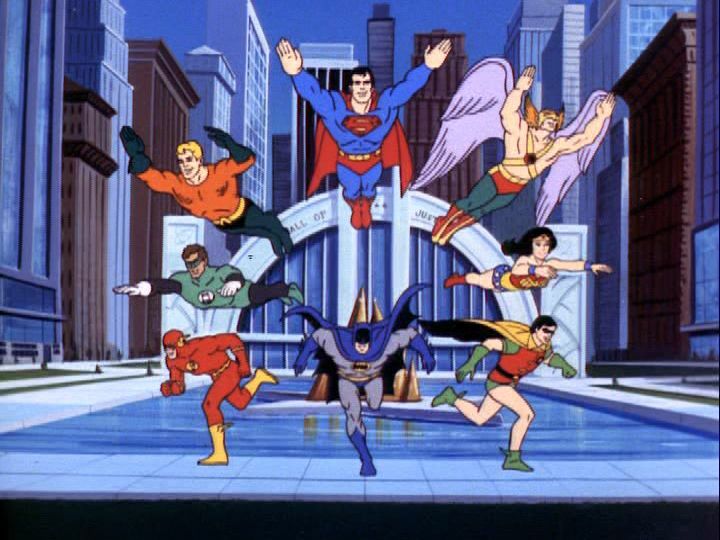 Remember Super Friends from Saturday morning cartoons? I miss those guys. All kinds of spoilers. It has been out for a while. And it is not a great movie. So, get over it. CGI was just horrible. So horrible in some parts that it look downright animated. The lead in to the Amazons – looked crayola. The part where Jeremy Irons stood inside the square of water – just horrible. BAD. This past weekend Jaw’s lack of CGI was refreshing. This movie reinforces THAT feeling. The bad guy…meh. His face was like a knock off Thanos. His horns were a knock off Loki. he was just not a great villain. No matter how ahead they get in the battle, they will always be knocked back and Superman will always come in to save the day. How’s that for blah blah blah….? Although Al says I watched Batman v Superman I cannot remember a bit of it. Seriously, cannot remember a shred. So, it is suddenly like anew that I do not like Ben Affleck as Batman. At all. Sorry dude, it’s a no for me. Wonder Woman should have been so much more. Even the post credit…meh…both of them. I liked the Flash. I liked that he was left standing alone the first time the commissioner put up the Bat Signal. I liked how he worked his super powers. I thought he was a solid character. Cyborg was decent. I feel his character was partially developed. I know he had a lot of screen time but it felt incomplete. But I liked him. The scene where Aquaman sits on the lasso of truth, he says (paraphrasing) that it would be ok to die like that because it would be an honorable death. He was on the lasso and speaking his inner truth – I liked that part of that scene. Meh. Did you like it? Let me know in the comments below. IMDB Synopsis: Fueled by his restored faith in humanity and inspired by Superman’s selfless act, Bruce Wayne enlists the help of his newfound ally, Diana Prince, to face an even greater enemy. It received a Rotten Tomatoes rating of 40% Rotten. It received a Rotten Tomato audience rating of 77% liking it. Average Rating: 4/5 with a number of User Ratings: 121,218. Director Zack Snyder and his wife producer Deborah Snyder stepped down from finishing the film, after the suicide of Zack Snyder’s daughter in March 2017. They tried to remain on the film as a way to work through the difficulty, but decided after two months to step away from the project to spend time with their family. Joss Whedon, who had signed on for Batgirl, took over as director, managing additional scenes that need to be included in the final cut. Warner Brothers have stated that Joss would direct and write in the same style as Zack so there won’t be any tonal shifts or obvious changes in style. However, Joss Whedon controversially fired Zack Snyder’s composer Junkie XL, and replaced him with Danny Elfman. Henry Cavill worked on the reshoots and Mission: Impossible – Fallout (2018) at the same time. He had to sport a mustache for his role in the latter project, however Paramount refused to let the actor shave it off for the time he played Superman again. This meant that Cavill’s facial hair had to be digitally removed in post-production. The superheroes are never actually referred to as “The Justice League” in the movie. One of the Gotham scenes during the prologue has a building with “Janus” written on it. This refers to Janus Cosmetics, run by Batman’s enemy the crime boss Black Mask. Black Mask is set to appear in Gotham City Sirens. Wonder Woman first appears in the film standing atop a statue of a goddess. This is the Greek goddess Themis, or Justitia to the Romans, better known in modern society as Lady Justice. Due to the running time backlash of past DC movies, Warner Bros demanded a film under 2 hours without credits. 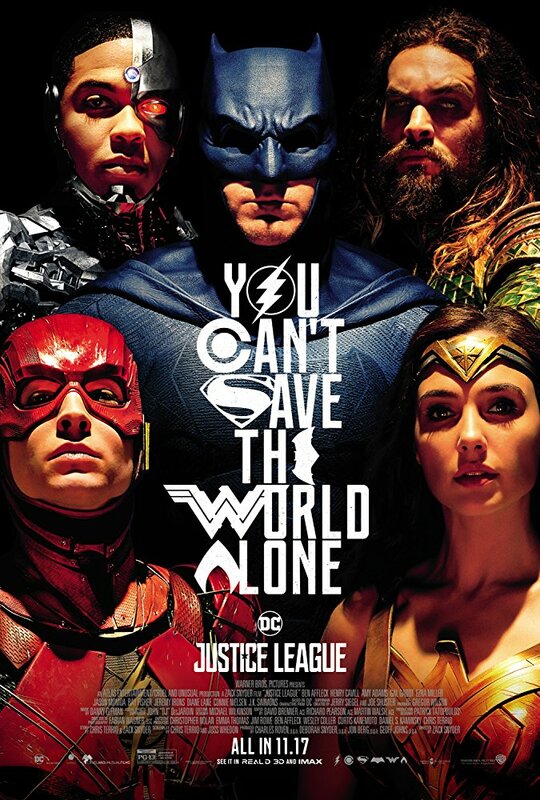 The final running time for Justice League is 119 minutes. In one scene, Alfred (Jeremy Irons) says to Bruce Wayne (Ben Affleck), “One misses the days when one’s biggest concerns were exploding wind-up penguins.” This is a reference to Batman Returns (1992), where Batman (Michael Keaton) goes up against Catwoman (Michelle Pfeiffer) and the Penguin (Danny DeVito) who had an army of penguins wearing exploding rockets with a plot to destroy Gotham City. The composer of Justice League, Danny Elfman, also composed the original Batman (1989) & Batman Returns (1992) musical scores and he utilizes parts of them in this film. Zack Snyder and Ray Fisher both stated that Cyborg was going to be the heart of this film. However, when Joss Whedon was hired for reshoots, most of Cyborg’s scenes were cut.